Community Empowerment works in tandem with local leadership to provide essential health care, while creating a self-sustaining system in which our assistance is no longer needed. The first step is to work with our partner communities to identify their needs and provide regular medical and surgical care. Then, we help the communities form partnerships with existing medical and social services to ensure this care will be ongoing. We help establish a governing board over the clinics and provide training for medical students, residents, and medical providers. Ongoing care is ultimately provided by community health care workers, nurses and doctors. Primary care teams regularly work with local medical providers to provide training and care of chronic diseases. Surgical teams operate alongside local providers and provide medical and surgical education for medical students, residents and faculty members. Surgical care includes orthopedic, urology, gynecology and more. A business model for water purification and distribution services was created to provide ongoing infrastructure support. 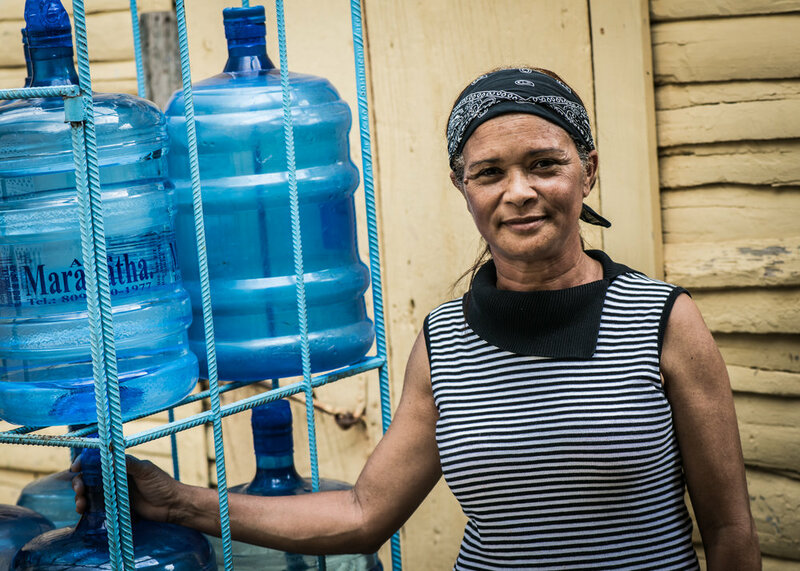 The sales from the potable water helps finance clinic operations, including the hiring of local medical providers and provides income to several needy families. We create permanent clinics staffed with local providers, whom we train, in order to provide long-term care to the community. We work to strengthen the local leadership so that they are able to take ownership of the primary care services and water purification and distribution activities. Community Empowerment has been involved in Peralta, Dominican Republic since 2002, and Jerusalem Haiti since 2010. There have been hundreds of volunteers, ranging from medical, nursing, and physician assistant students, residents, nurses, physical therapists, pharmacists, nurse practitioners and physicians, who have participated in our work. *New* - The community has begun building an after-school program for over 250 families, using funds Community Empowerment helped obtain through a Rotary grant. A public/private partnership was created between the Ministry of Health and Peralta's NGO. The Ministry of Health will provide supporting staff. A local physician, RN, health care providers, pharmacist and custodian were hired locally. The clinic received medication, and pharmaceuticals. The clinic is now-self-sufficient! Partnered with Feltrex Foundation, the charitable arm of one of the largest pharmaceutical companies, to provide Dominican doctors with conferences for post graduate medical education. Between 2018-2019, there will be six conferences in the fields of neurology, primary care, urology and ENT. *New* - Expanded a new dental program to include root canals, complete cleaning, and fillings. *New* - The Women’s Health Initiative was launched in Jerusalem with Dr. Fiquita St. Paul, who is administering screenings and treatment for early cervical cancer. *New* - The community health care workers have launched a door-to-door community survey to determine essential health care needs and for further research purposes. 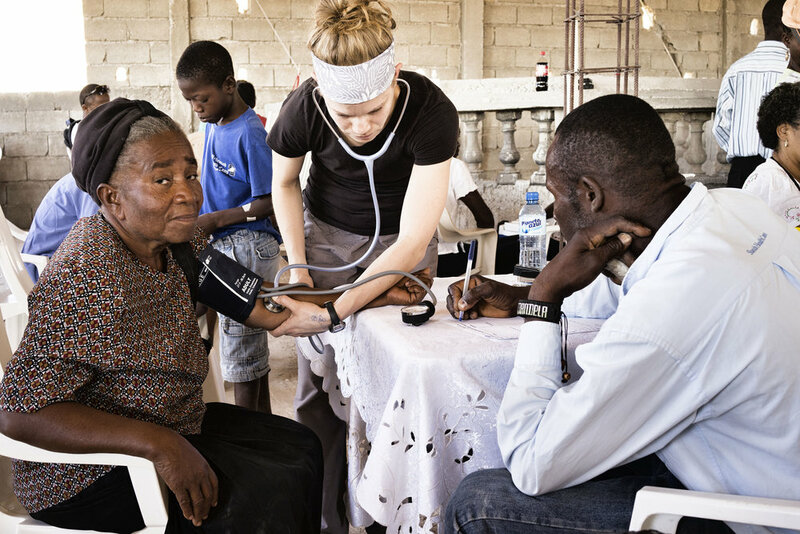 *New* - Rush University to provide two, six-month-long Global Health Fellows at the clinic, supporting clinical primary care activities and assisting with research roll-outs, starting in July 2019. Electronic medical record (EMR) system was updated to better track patients, measure outcomes, and provide the ability to do research that will inform the healthcare of these vulnerable communities. Thanks to funds raised at AFH 2017, a playground was constructed at Le Fleur’s Orphanage for the children. A permanent clinic, which is MSPP- recognized through the Ministry of Health, was completed and stocked with equipment from ProjectCURE and a Rotary Global Grant.